A lush oasis in central Cairo, Gezirah Island is only a 20-minute walk or 5-minute drive from Tahrir Square, yet it retains an atmosphere of tranquility. Zamalek, where the hotel is located, boasts beautiful 19th-century architecture on tree-lined streets, along with antiques shops, traditional teahouses and cosmopolitan cafés. At Sofitel Cairo Nile El Gezirah you’ll be on the island’s southern tip, surrounded by parkland with stunning views over the Nile. Cairo’s upscale district of Zamalek is ideal for culture lovers. Attractions including the Cairo Tower, El Sawy Culturewheel and Cairo Opera House are a short walk or drive away, putting Egyptian culture and world-class ballet and opera at your door. A short stroll across a few bridges takes you to the renowned Egyptian Museum, where you can absorb the history of the Pharaohs as you marvel at King Tutankhamun’s golden treasures. Knowledgeable concierges can devise an exciting itinerary for visiting Cairo or further afield. Whether you want to see the Giza Pyramids and enigmatic Sphinx or seek out treasures in Khan-el-Khalili market, we can arrange it for you in an instant. 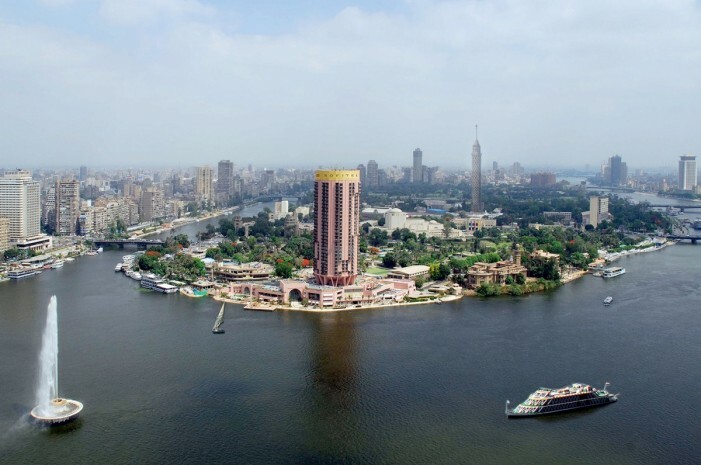 Tour the Muhammad Ali mosque and Cairo’s Coptic churches, take a trip to Luxor or explore the ancient port town of Alexandria – everything is possible thanks to the concierges at Sofitel Cairo Nile El Gezirah.